His love of cars has been a lifetime pursuit and encouraged by his wife, “Dee”! 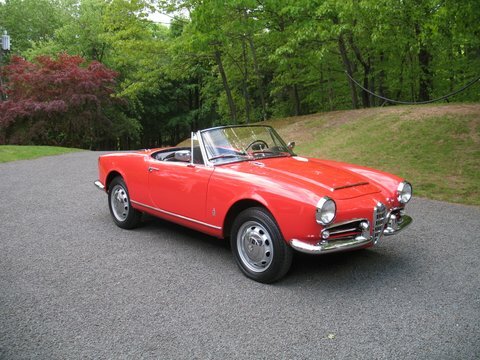 His Alfa Romeo Giulia 1600 Spider won Best Italian 1965-66 Sports/GT at the Greenwich Concours d’Elegance in 2003. His “Italian garage” also includes a 1986 Spider Veloce. He is an organization, development and management consultant/trainer for various public and private sector clients. His efforts have included identifying and seeking external resources from federal, state or private agencies, preparing training management seminars, and writing grant applications. He was a principal and central office administrator for the New Haven Public Schools. As the Supervisor of Staff and Organizational Development he was responsible for planning, coordinating and supervising professional growth activities for more than 2000 employees. He planned, facilitated and monitored individual Comprehensive School Plans from all schools. As a member of the Superintendent’s Cabinet, he served as the system’s representative with state, federal, local agencies, and universities with various collaborative initiatives. Both now and during his long experience as an educational administrator and program manager, he has been an activist in various community affairs and in this context he serves or has served in various positions as a board member and officer for a number of non-profit (national and International), civic and professional organizations. He holds a BA in psychology from Rutgers University and graduate degrees in education and administration.